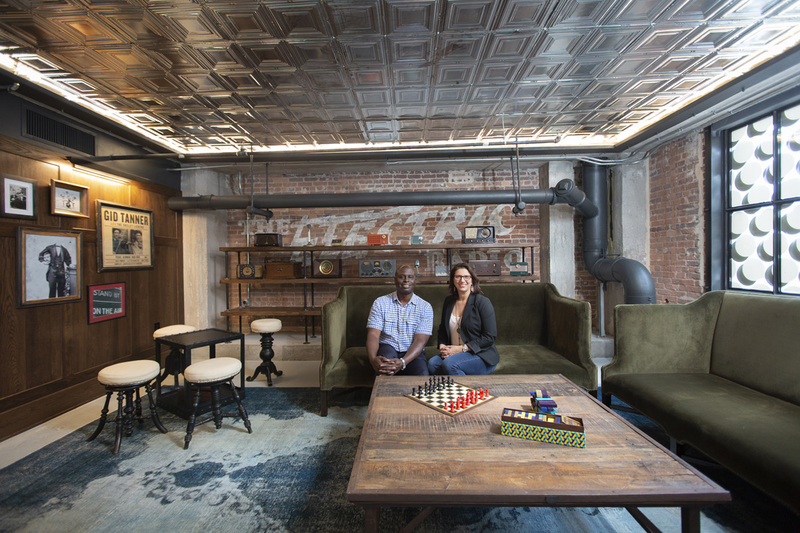 RFD Social welcomes guests to stay for a while with its cozy furnishings. 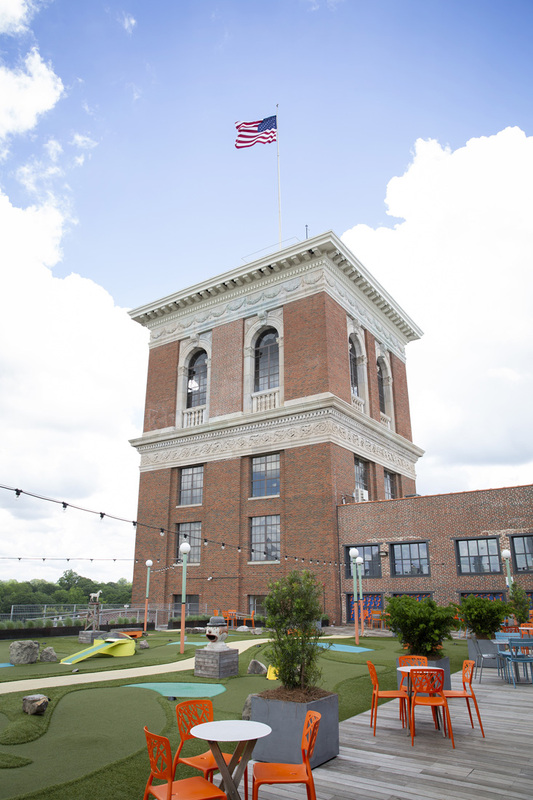 The bar takes up three floors in a tower on the 10th floor of Ponce City Market and used to be home to a 1920’s radio broadcast called the Dinner Bell R.F.D. (which stood for Radio Farmer’s Democracy). Listeners tuned in to hear a show hosted by Dewey Burnett with programming about farming and homemaking advice, and performances by local musicians. Guests can move between RFD Social and Skyline Park with ease. If you’re worried that the space takes itself too seriously, don’t. Despite its homage to the prohibition area in terms of decor and design, it’s still very much a revelrous atmosphere. You can easily bounce between Skyline Park and RFD Social, especially when you need to cool off. The drinks at RFD Social are creative, sippable craft cocktails. Hayden says, “In fall and winter, we’ll have drinks that have a rustic feel to them and use more rustic flavors and a lot more bitters and darker spirits.” Besides craft cocktails, libations include local beer and a well-curated wine list. The tower has more surprises, too. On the 11th floor is the Roebuck Room, a space parceled into small and large conference rooms as well as a larger event area. Those looking to host a throwback soirée will love the sweeping views over the city. RFD Social and the tower it lives in may not be haunted, but with a storied past, it’s definitely worth a visit, especially during Halloween season when historic spots tend to seem a little spooky. While PCM certainly has plenty of places for those who seek libations, none offer the speakeasy vibe that RFD has.